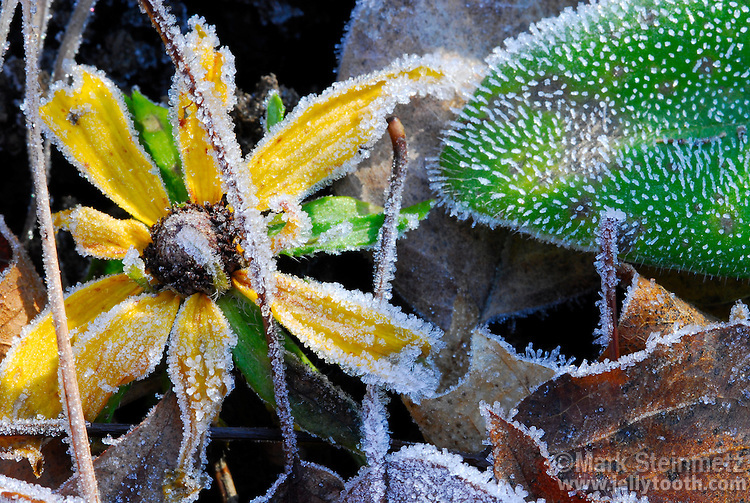 Frost on Black-eyed Susan (Rudbeckia hirta) and leaves. This native biennial species of Black-eyed Susan often are in bloom right up to the first frost. Ohio.